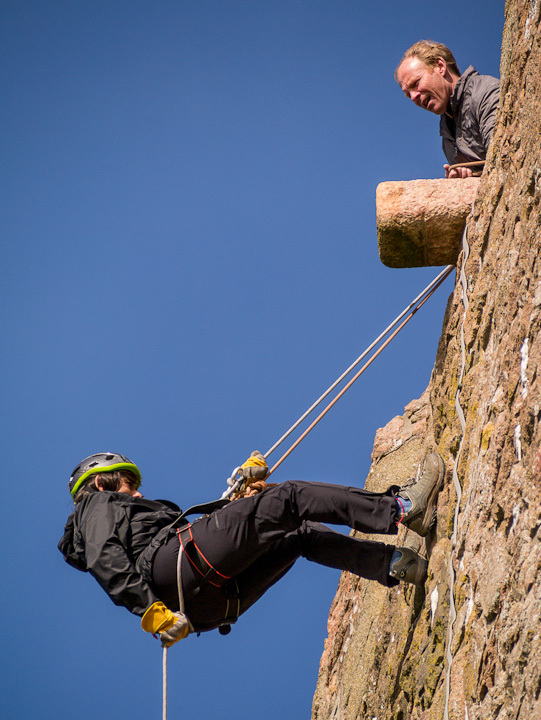 At the end of October, the Outdoor Writers and Photographers Guild held its annual AGM over a weekend in Jersey. 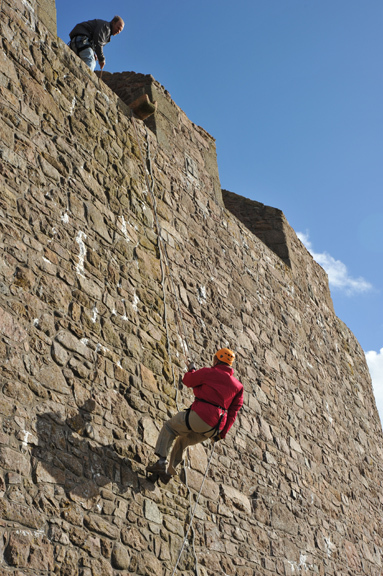 I hadn't paid enough attention to the choice of activities and unthinkingly had volunteered for abseiling, something I'd never tried before. The only other beginner at this session was, by pure coincidence, the author of our forthcoming Settle to Carlisle Way book, Vivienne Crow. And thanks also to Ian Battersby for capturing the start of Viv's windswept descent. Sharing this somewhat breathtaking experience with an author was a unique first. 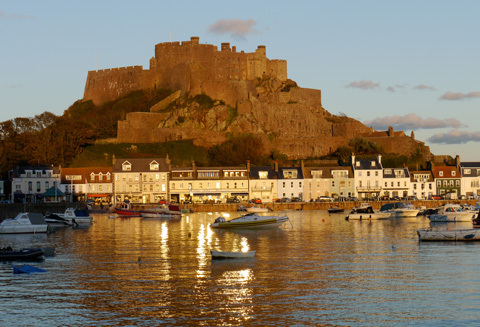 Finally, here is how this impressive castle looked across Gorey harbour at sunset. From this safer distance, I looked at the sheer walls of the Somerset Tower slightly proprietorially. 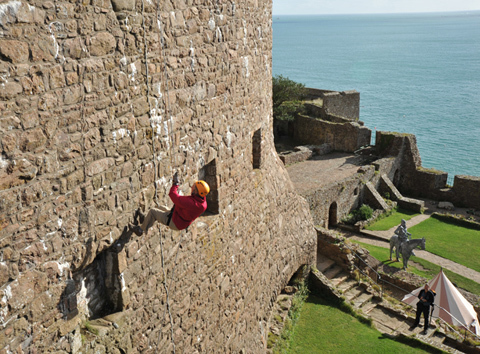 And I've discovered that abseiling is great fun, once you're past the parapet! This page contains a single entry from the blog posted on November 5, 2012 2:43 PM. The previous post in this blog was Curriculum being narrowed by National 4 and 5 exam choices. The next post in this blog is Snow Leopard, memory and my iMac.